From the rear side cover: "My first visit to Holy Island was made during a family holiday in the early 1980s. It was from the ramparts of Lindisfarne Castle that I first spied the limekilns, the wooden piers of the old jetty, the heaps of abandoned lime and the tramway embankment leading to the north. A walk of discovery following the old tramway line revealed the old limestone quarries and evidence of other works and kilns. Here were the skeletal remains of a former industry which had clearly contributed to the economic and social history of the island. I was hooked! My researches began and were soon to range far and wide. Slowly the pieces of the jigsaw puzzle started to fall into place and an overall picture began to develop. However, many parts of the puzzle still remain undiscovered and the description published here is inevitably incomplete. I would be delighted to hear from anyone who can aid its completion". Roger Jermy's book reads like a detective story, the clues of which are literally scattered around the island. The narrative enhances an appreciation of this special community and is essential reading for anyone with a serious interest in this unique island's history. Containing a splendid selection of old photographs and maps the reader is informed of a way oflife which seems remarkable to the present day visitor. 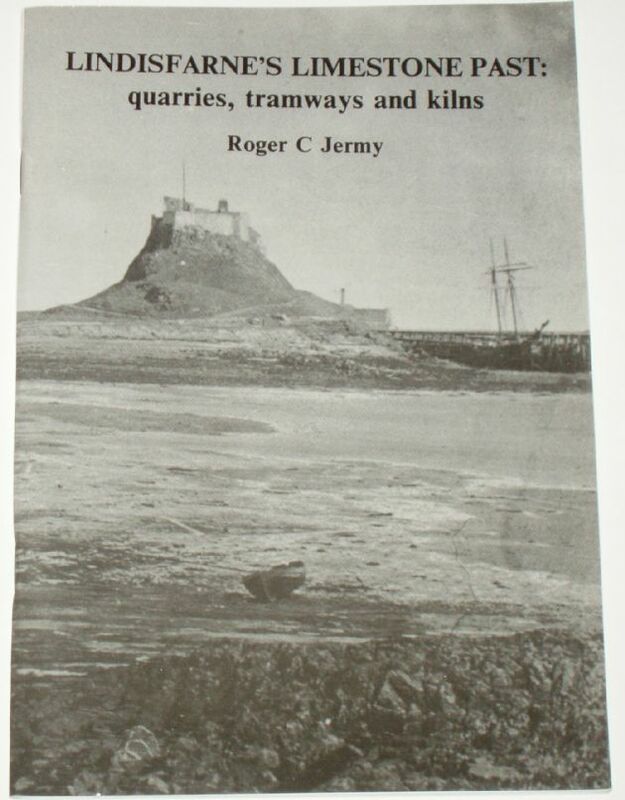 Roger has combined three of his major interests - railway history, industrial archaeology and photography in this book.